Surrounded by the Hohe Tauern mountain the ski area is one of the most snow guaranteed holiday resorts in Austria. During the period December – April one can fully enjoy the good winter sport facilities. Both the experienced as well as the starting skier will find everything he/she is looking for. There is an excellent ski-school in Hochkrimml that offers ski instruction (group courses or private lessons) to improve your ski-abilities. For more information go to www.skischulekrimml.com. 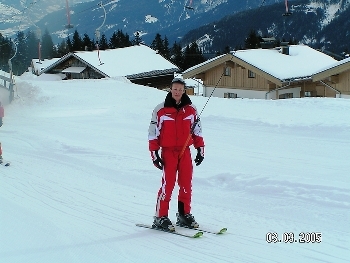 New in 2011 is the Rodeltrack on the Filzsteinalm and the longest rodeltrack in the world: 14km.! is since the arrival of the Smaragdbahn in Bramberg easier to go. The tracks are fully illuminated!